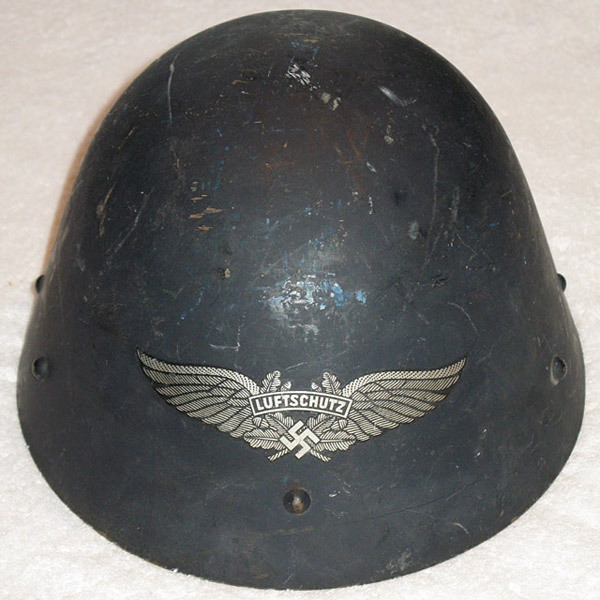 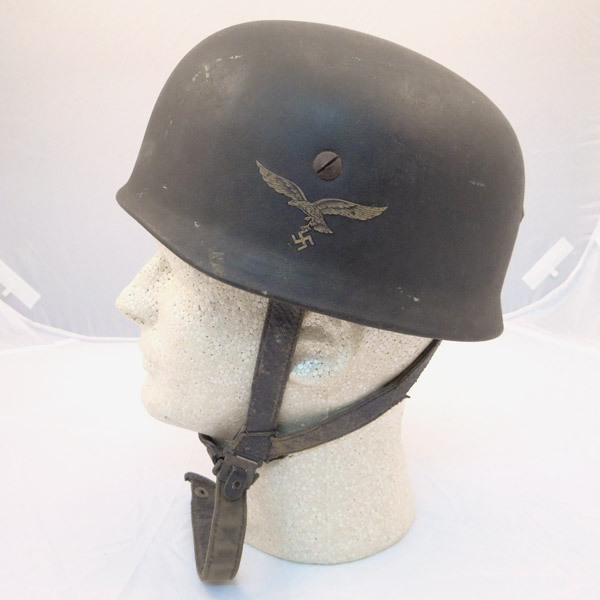 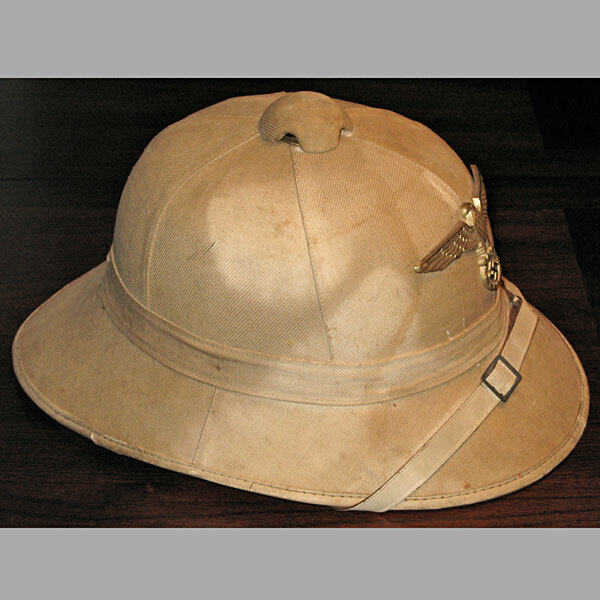 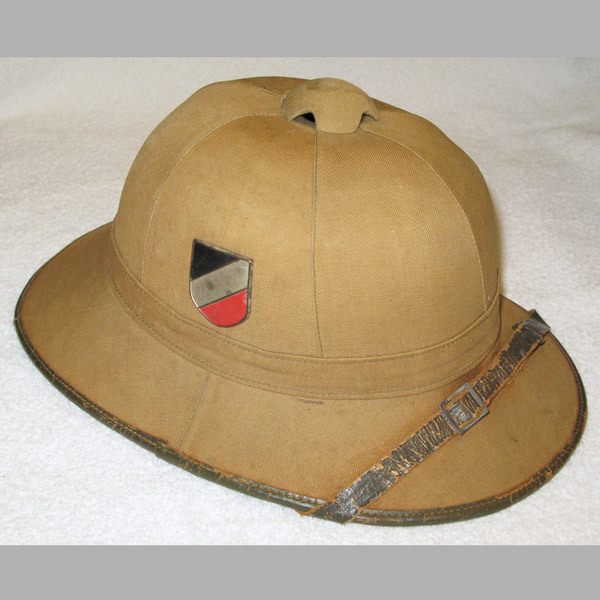 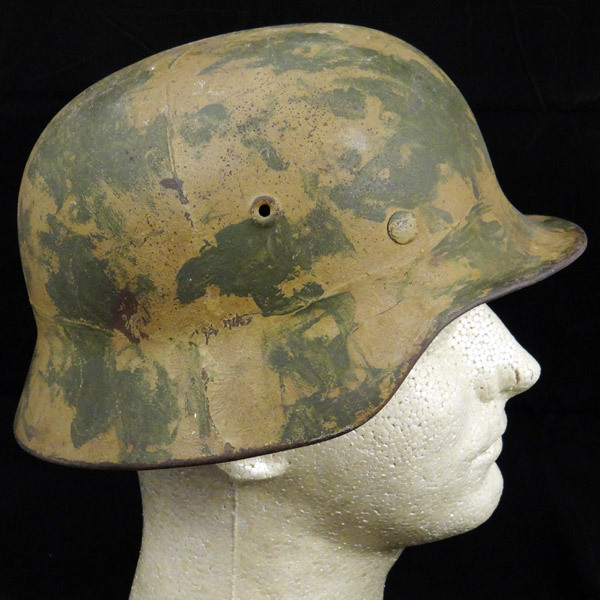 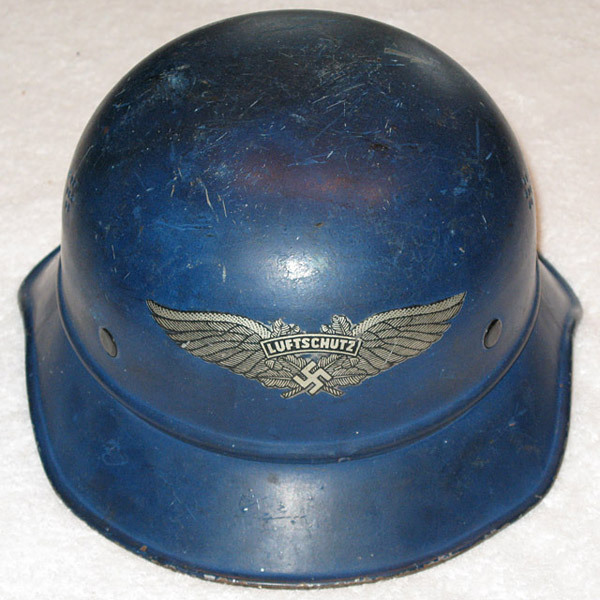 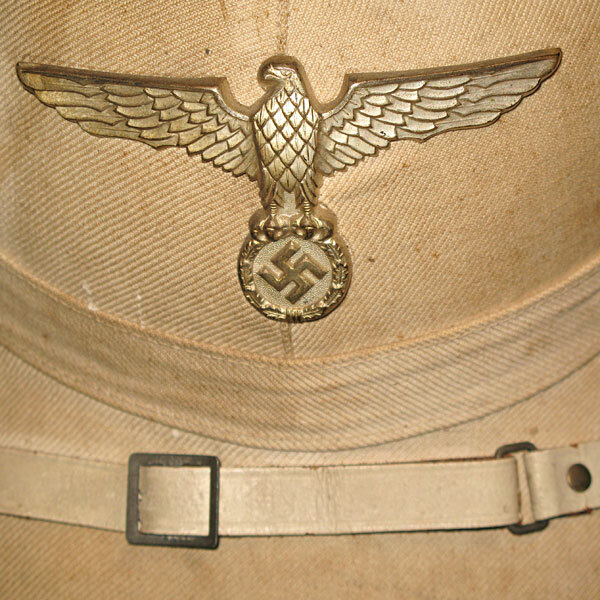 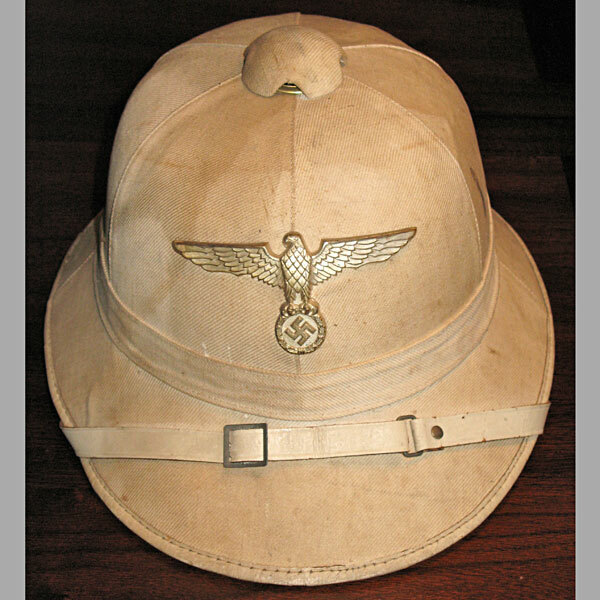 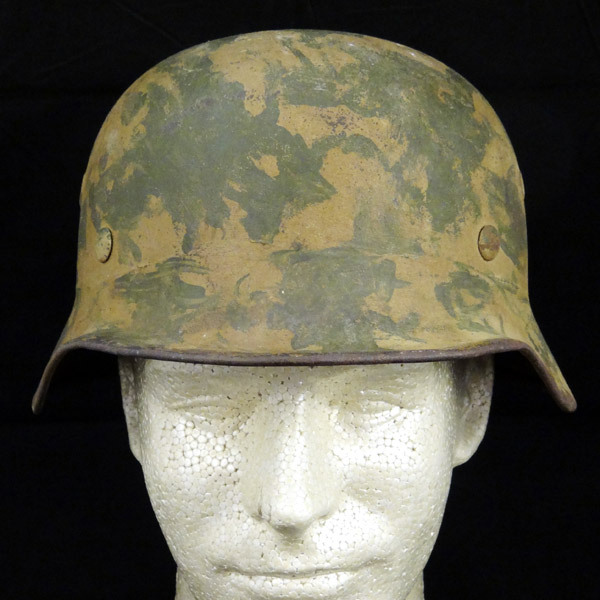 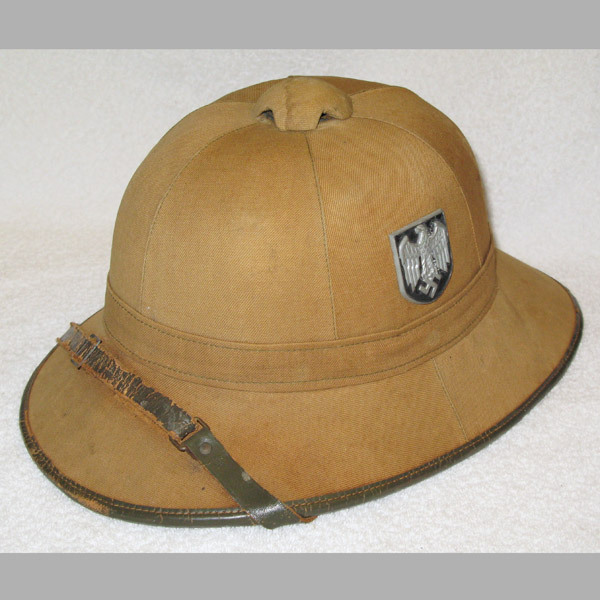 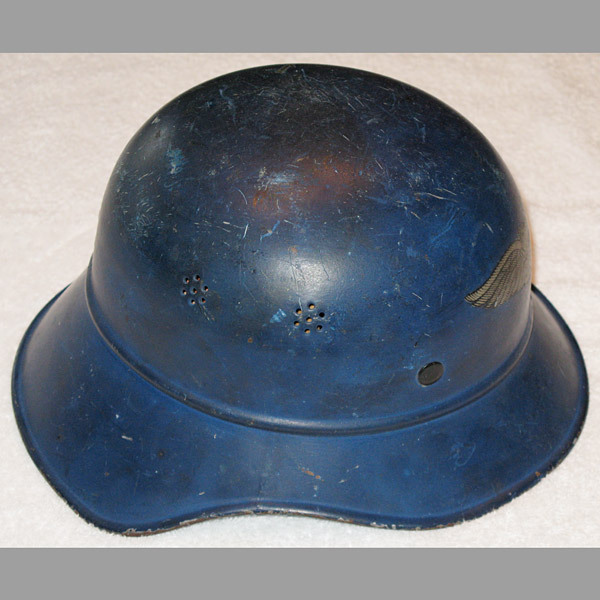 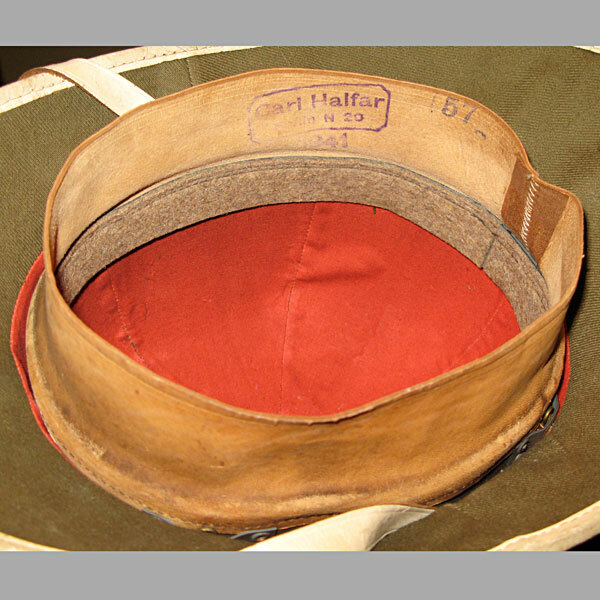 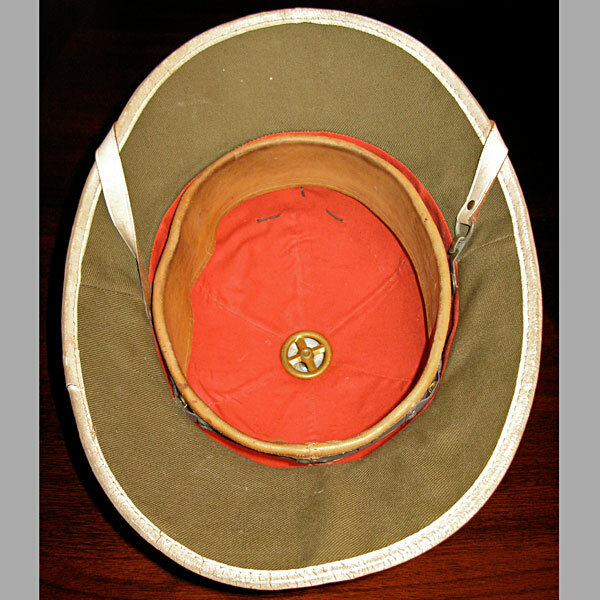 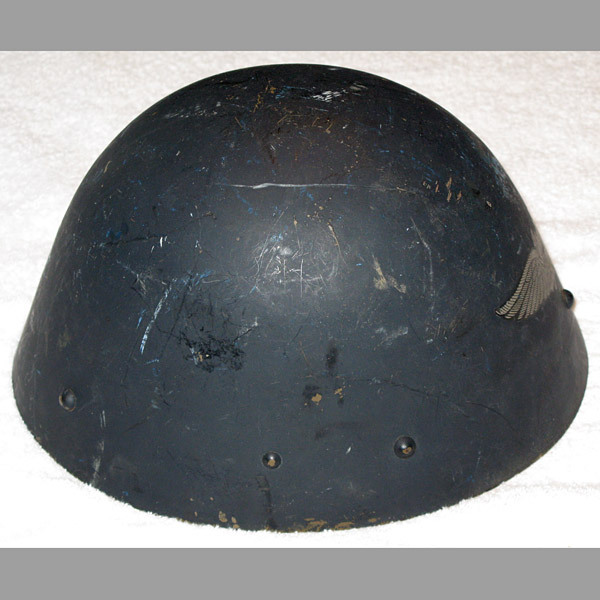 The World War 2 German Kriegsmarine (German Navy) Administration Official’s Pith Helmet is perhaps one of the rarest of all Pith Helmets. 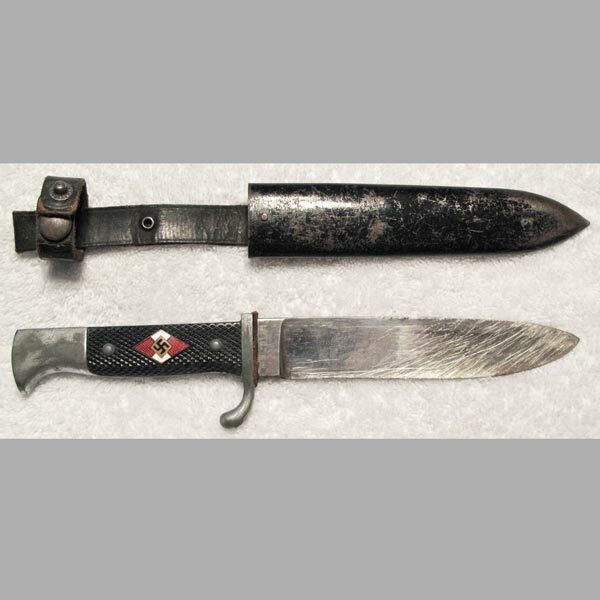 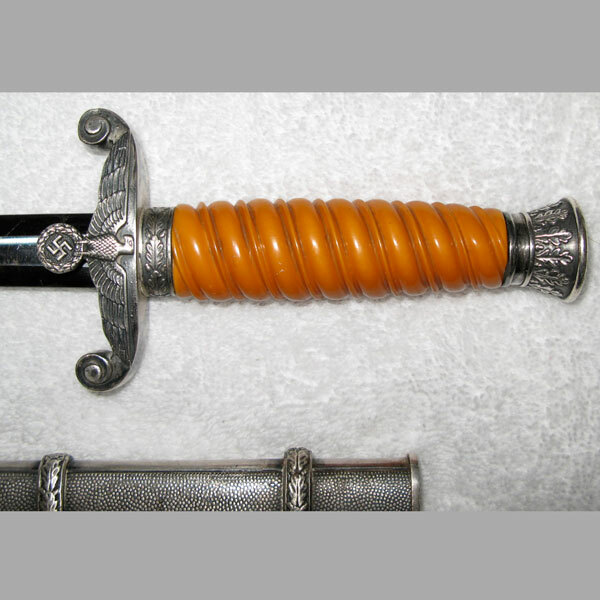 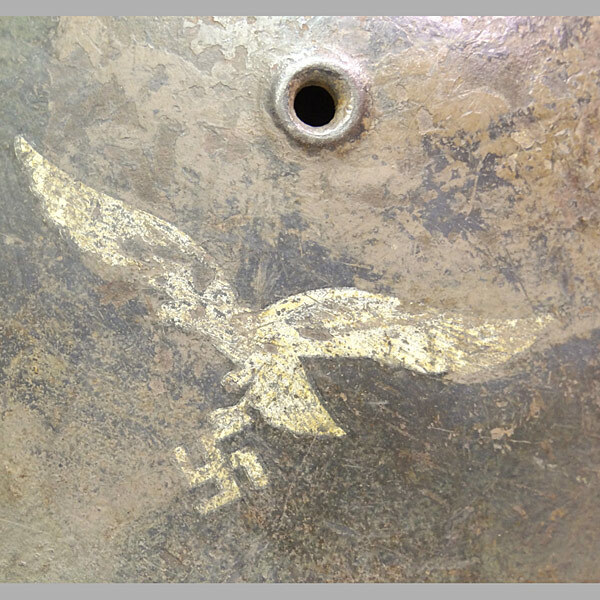 This particular example shows signs of strong use, but is complete and in tact, with all of the expected parts accessories, including the original large, silver washed, die stamped alloy construction national eagle. 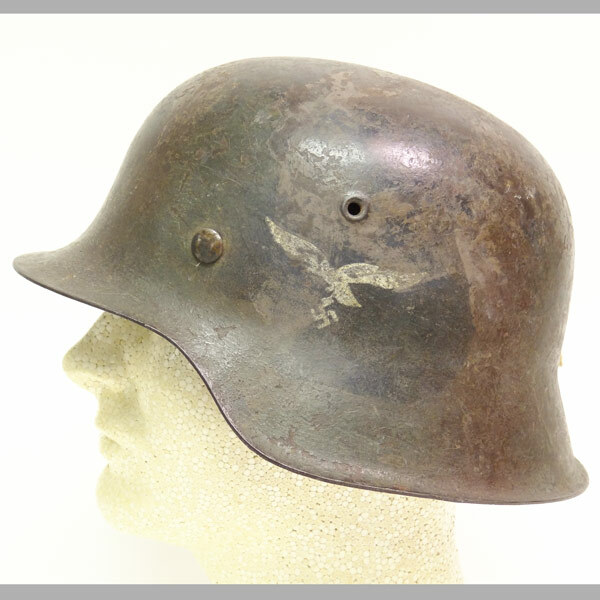 The eagle is in superb condition, and is firmly attached with three prongs that are clearly visible on the interior of the helmet (as expected). 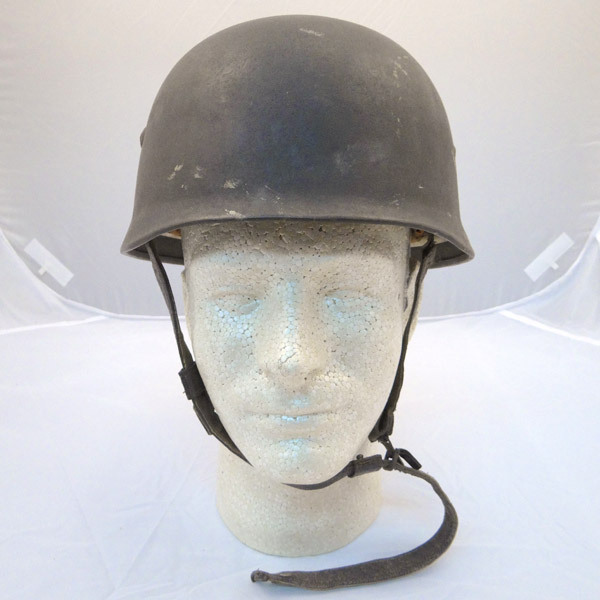 The chin strap shows subtle signs of repair, but is solid and does appear to be original to the helmet. 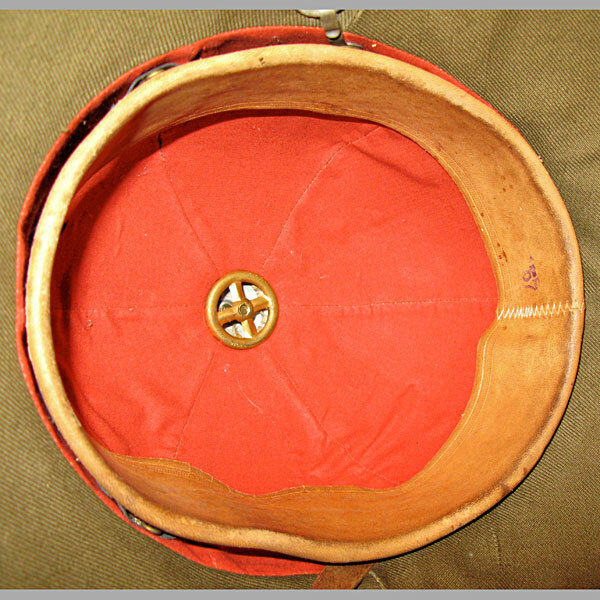 The interior is in beautiful condition, with supple leather sweatband, clearly marked “Carl Halfer…1941” on the underside, with the size marking of “57”.